Tea time should never be boring. Drinking tea from a standard mug can be downright uninspiring. 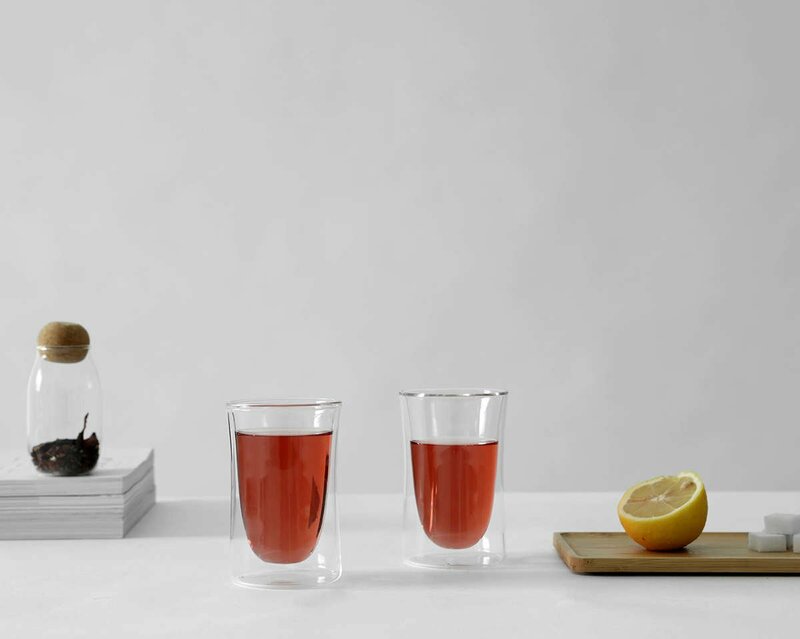 Kick things up a notch with these double walled glasses that are meant to be seen and shared. Bring excitement back into your routine. Size: L: 8.6 cm - H: 13.6 cm - Vol: 0.40 L / 13.50 fl. oz. Does the outside of the mug get hot? Thanks to the double walled design the Classic Curve glasses stays cool to the touch, even when full of hot tea or coffee. You get all the advantages and visual beauty of glass, without burning your fingers. How much do these glasses hold? These glasses hold 400 ml of your favourite hot or cold drink. Is this glass easy to clean? The Classic Curve glasses are completely dishwasher safe, and just as easy to wash by hand. Because they’re made of our high quality Vitriluma borosilicate glass, you can be sure they won’t mark or dull easily. How many glasses are in the set? 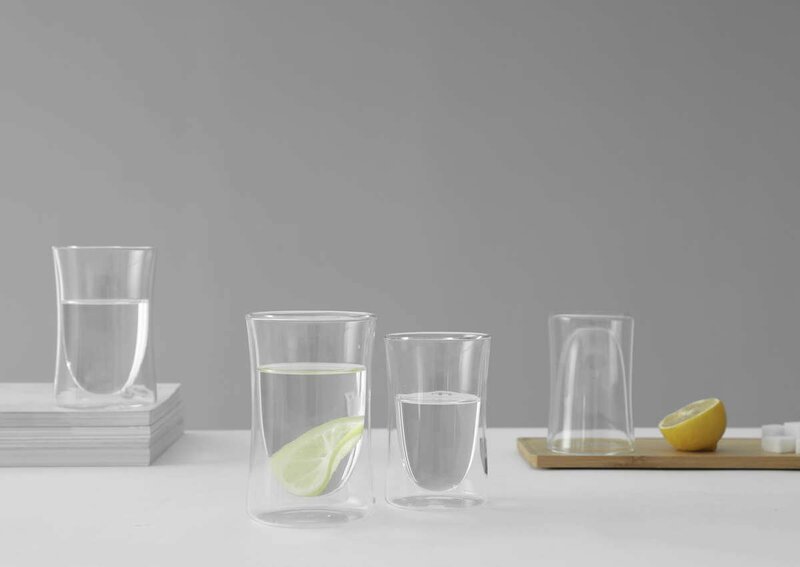 There are two small glasses in the Classic Curve set. 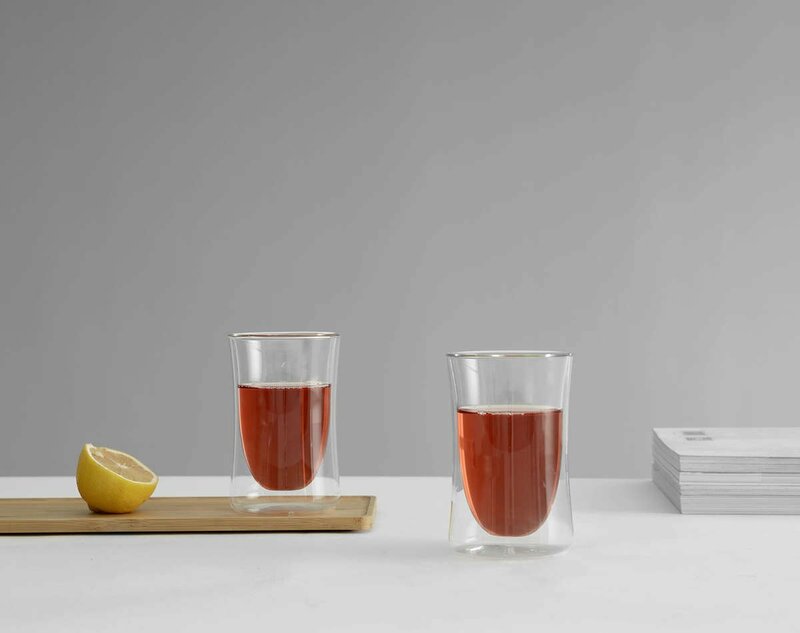 The double walled design means these glasses are ideal for both cold and hot drinks. Double walled glasses insulate your beverage from your hand. So cold drinks won’t get warm from your hand, and it prevents hot drinks from burning your fingers too.